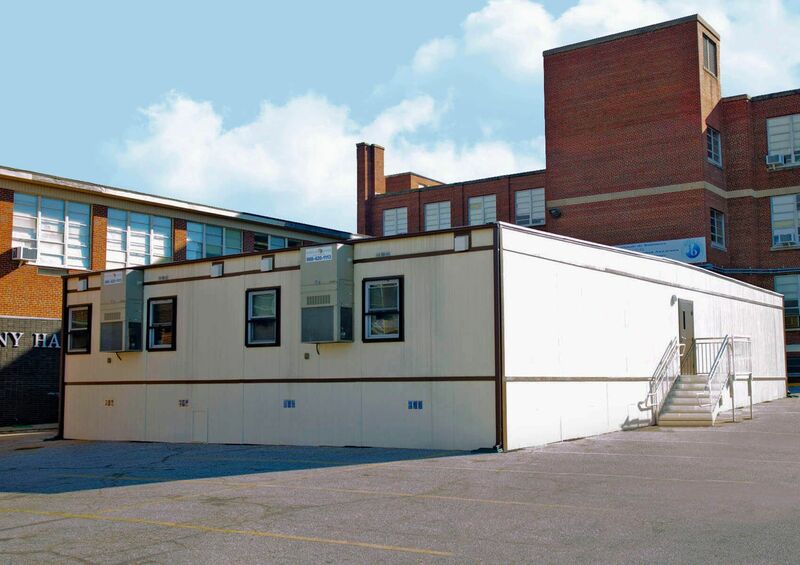 The original modular complex was a seventeen unit building that consisted of sixteen classrooms and a restroom unit. 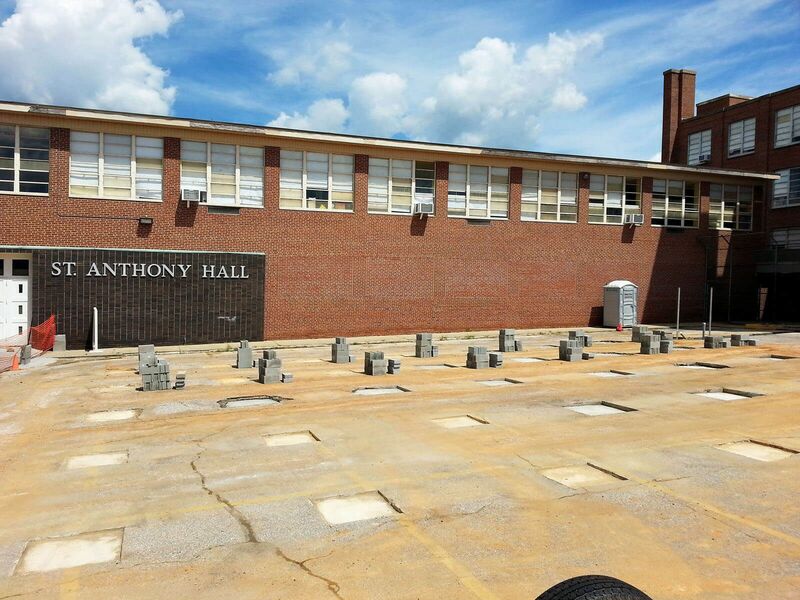 Because of an unexpected increase in students, the Baltimore International Academy required four classrooms urgently. 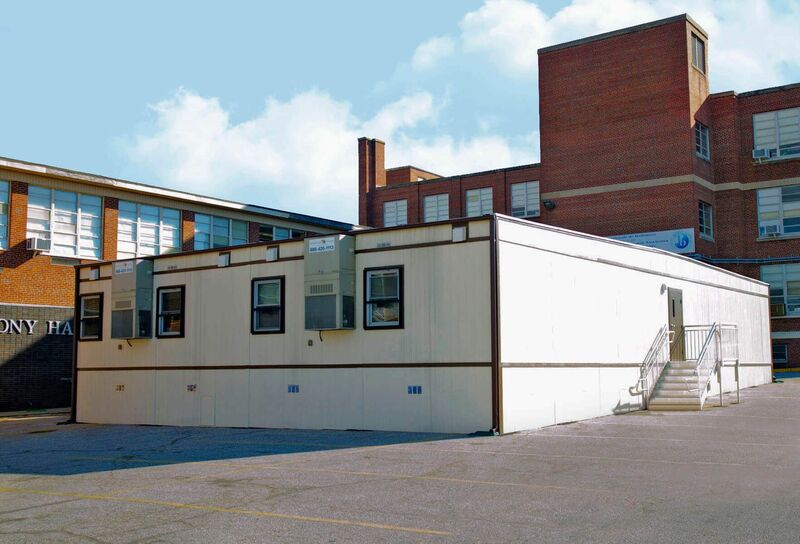 New modular construction would take too long, so Modular Genius utilized four pieces of the large complex to accommodate the immediate need. An exterior wall was built on one of the side walls to match the rest of the building. The remaining thirteen modules were also installed in several different locations fulfilling different classroom requirements throughout the Mid-Atlantic. 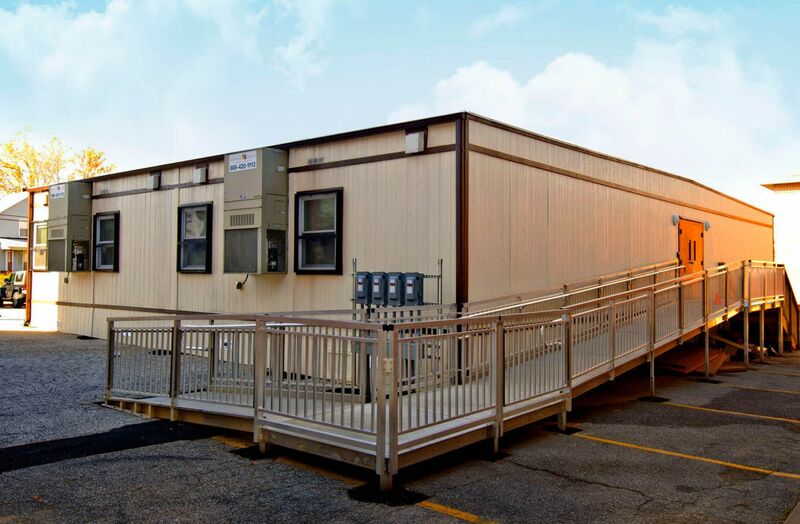 The re-utilization of temporary modular buildings is the staple of the modular building leasing industry. Finding a client that can utilize the configuration from the prior use is challenging, therefore careful consideration in how the building is constructed will ultimately generate more revenue over the buildings life. As a classroom complex this building originally required voice, data, PA, and fire alarm. Typically the wiring is site installed above the drop ceiling. 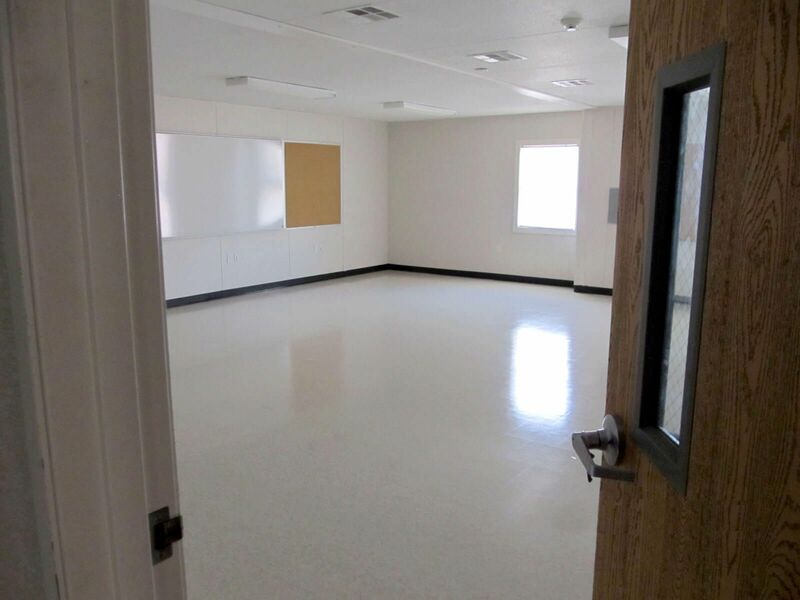 In consideration of the reuse of the building, c-spray ceilings were used in the classroom and drop ceiling in the center corridor. Conduits fed all the low voltage wire to the center corridor for final connection. This design saved both clients’ money by not having to incur the expense of a drop ceiling. The design also helped in redeploying the modules separately.